Kek Lok Si Temple will never be the same if the highway from Gurney Drive to the airport is built because a 300m-long elevated highway and a tunnel to Paya Terubong will be constructed just a few hundred metres behind the temple. The proposed six-lane highway will cross the valley between Air Itam Dam and the temple. 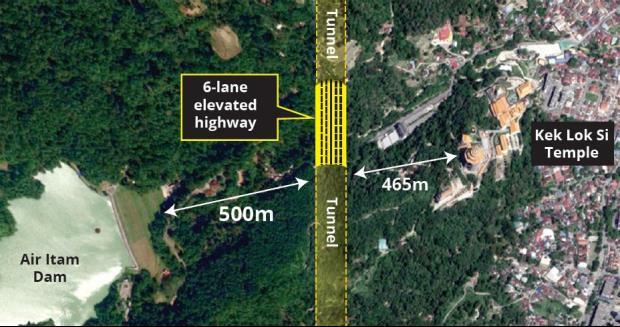 The temple end of the highway joins with a 1.6km tunnel to take vehicles to the Paya Terubong stretch of the Pan-Island Link (PIL) 1. From the opposite side of the valley, the highway connects to a tunnel that stretches from Penang City Park. This is described in the Detailed Environ­mental Impact Assessment (DEIA) report, which is available for public viewing till Aug 10 and pending approval from the Department of Environment. The DEIA states that thousands of tonnes of earth and blasted granite from the tunnelling must be transported through the sole road leading to the temple, Jalan Balik Pulau, which goes downhill to Ayer Itam market. It warns that the high soil erosion factor of the area can “damage both the work under construction and existing nearby structures such as condominiums, Kek Lok Si, Air Itam Dam and the Bukit Bendera complex”. The DEIA report also states that the bored piling method of building the highway’s four piers and the controlled blasting technique of the tunnelling will not cause any damage to the temple or the dam. However, the 300m elevated highway was never mentioned in the executive summary of the DEIA report. It was first described only on the 160th page, marked as 2-7. On the 578th page, marked as 7-113, the DEIA report states that the tunnel to Paya Terubong is “at the end of the Kek Lok Si Columbarium. Transportation of rock blast materials will be within the site. 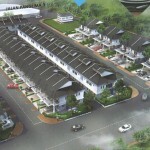 Access to the site is from Jalan Balik Pulau through the columbarium parking lots”. The digital copy of the DEIA report is 1,195 pages long. What shocked Kek Lok Si trustee Datuk Steven Ooi Teik Heng is that the temple was never asked for any feedback. “How can you expect us to read hundreds of pages to find out what your plans for the temple are? No one ever sat down with us to get our views. I went to the Ayer Itam police station where the DEIA report was displayed to read it. “But it was two thick volumes and so technical. There was no one there for me to talk to. I saw the phone number of the consultant in the report so I called and asked for details, but they wouldn’t tell me,” he lamented. Ooi told The Star yesterday that Kek Lok Si Temple would object to this stretch of PIL 1. “The contractors must find another alignment for the link. We will never grant permission for them to use the columbarium as the project site and access road. “The temple is a global icon of Penang. How many lorry trips down our steep and narrow road will it take to transport all the earth and granite out of the tunnel? How many years?” he said. 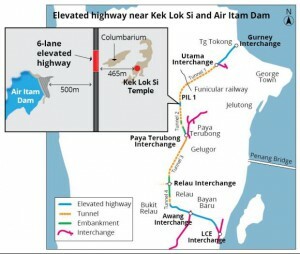 When asked about the highway behind Kek Lok Si, state Works Committee chairman Zairil Khir Johari said the alignment was unavoidable, just like the elevated highway section over Penang City Park. “If we could have avoided Kek Lok Si, we definitely would have. 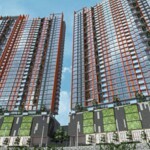 We have several measures in place to make sure the construction has a minimal effect on the environment,” he said, urging the public to send their feedback on PIL 1 to the Department of Environment by Aug 24. PIL 1 is part of the Penang Transport Master Plan. The highway is designed to take vehicles from Gurney Drive to the airport in 15 minutes, compared with about 90 minutes on a bad day through the city’s traffic. do they own the land around the temple? If not, they can piss off. If its state land, then it’s not necessary for the state to consult them. The lorries will be using public roads not private roads. Come on Penang! Time to develop! 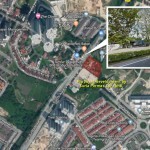 The hilly area there mostly consists govt lands or non-converted cheaper 2nd grade grant.CM Chow has made it clear that if they use another route then it would have to “acquire” at least 200 over houses in Ayer Itam and some properties too. Nowadays, houses and lands are sheer exorbitant and cost of property there will be well over 300psf even without vacant possession, just imagine to cough out another few billions or so ? 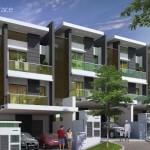 Penang state gov where got money to build ? They on talk talk to show they can only !!!!! With the globe’s climate change and the speed of global warming right in front of our eyes, the equatorial regions will be the only “Utopia”left. Very soon some parts of the South East Asia will be very much sought after ! That means very, very valuable ! Malaysia is just one of them (even) better than Thailand ? If we post here, not anyone would read it la. 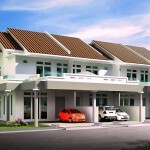 There is development and also there is a specialty of Penang. There are many places where it is a popular tourist destination but yet they are not as developed. It does not interfere with the locals and going against their will. Phuket, Bali, Lombok. Why do we need a highway that is built that way. It will start with a highway and it will end with mass development around the area. Built a elevated highway on top of LCE highway for north-south highway. Built a elevated highway on top of LCE for north-south highway. Oh no.. seems like the usual 1hr travel will become 2hrs with so many people object to the PIL..
ya lo…gila one. 10 storeys highway no joke…landslide macam Bukit Kukus mati lah….